Figment has been the character that people have associated with Epcot since opening day in 1982. He continues to entertain guests who ride Journey Into Imagination. 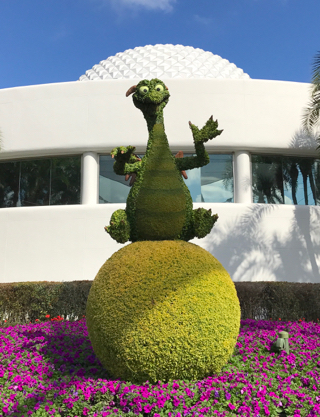 Recently, as part of the Epcot Festival of the Arts, this Figment topiary has appeared behind Spaceship Earth.